SAN BRUNO, Calif. (MuseWire) – DJ Jimmy Stewart Jr. and Sesene Entertainment are joining forces at a free fundraising event to support the victims of the San Bruno, CA fires. The event is scheduled for September 25, 2010, from 12 p.m. to 7 p.m. at the San Bruno Recreational Center and San Bruno City Park at 251 City Park Way. “It’s a cause close to my heart because San Bruno is my hometown; I’m Bruno born and Bruno bred,” says Stewart. And, the label that backs Stewart – Sesene Entertainment – is planning to donate $5,000. Additionally, all sales from “Body Rock,” Stewart’s latest album, will be donated now through September 25, 2010; and Stewart will also donate 20 percent of his booking rate for the next year to support the Glenview Fire victims. Stewart’s number one priority is making music and he has been heavily influenced by turntable DJs; electronic music is also a passion. Stewart is very excited to share his talents at this San Bruno fundraiser that will feature three music stages; three other DJs; and multiple bands such as Weapon Eleven and The Murkins. The event will also feature food provided by Don Pico’s, Rib Shack and Tom Henderson Catering and beverages from the San Bruno Lion’s Club, Barefoot Winery, Monta Grano, Sierra Nevada Brewing Company and Hess Winery. Games, a kid’s corner and other activities will take place throughout the day. 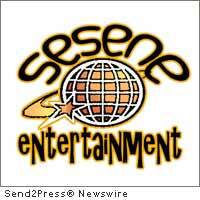 Sesene Entertainment is a worldwide entertainment company specializing in production and talent management. It finds, manages and takes up-and-coming artists to the next level. For more information about Sesene Entertainment, or to download Stewart’s latest tracks, visit: http://www.seseneentertainment.com .